Please consider this a proof of concept and keep in mind that Peachpie is still a work in progress. We do not recommend using this in a production environment yet. Our primary objective with this announcement is to prove that Peachpie really is compatible with the standard PHP used in WordPress and to demonstrate its benefits. Last but not least, we simply wanted to prove that it works. This article will show how. As of Peachpie version 0.5.0, the compiler does not support classes extending a class that is declared conditionally, e.g. We prepared a version of WordPress with these modifications already included for you to compile the project easily. In addition, we preconfiguired the wp-config.php file containing the credentials for the MySQL database. We are using the default port 3306, password ‘password’ and the server is ‘localhost’. The compilation is driven by dotnet and its website/project.json project file. This is all dotnet needs to compile WordPress. It even downloads Peachpie by itself from nuget.org. 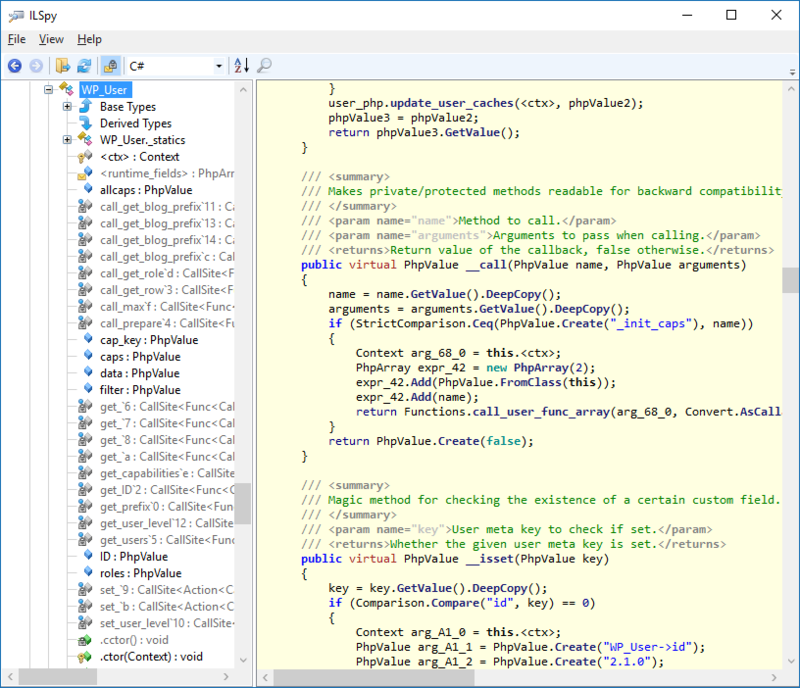 Line 5 specifies that the compiler is ‘php’ instead of the default ‘csharp’. The next line lists the files included into the compilation. In line 11 we tell dotnet there is a dependency to the Peachpie runtime and default libraries. It will be automatically downloaded from nuget.org if the component has not been downloaded yet. 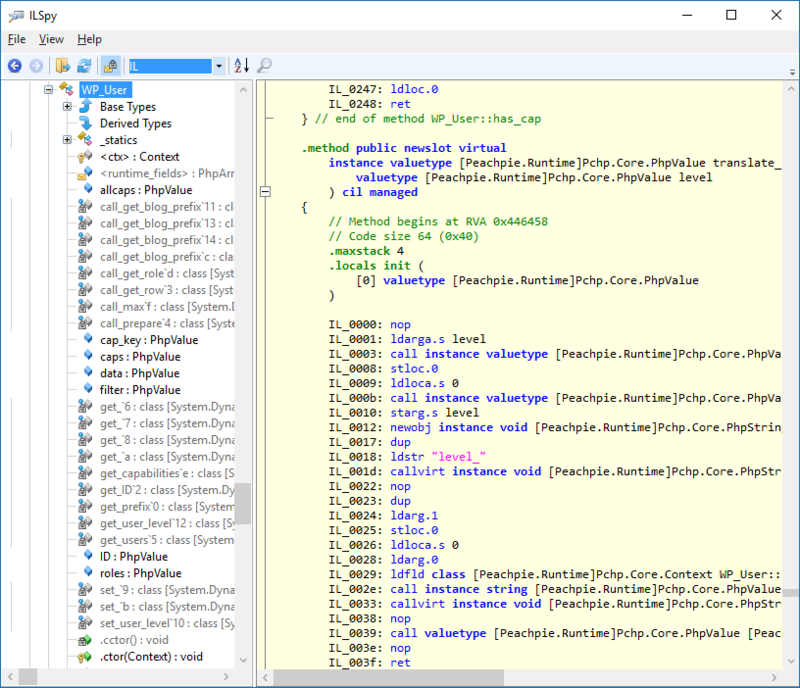 Similarly, line 14 tells dotnet to use the Peachpie.Compiler.Tools package during the compilation process. It actually contains the whole compiler and is again downloaded and used seamlessly. WordPress as such contains a plethora of script files, but you still need a web server to run them. 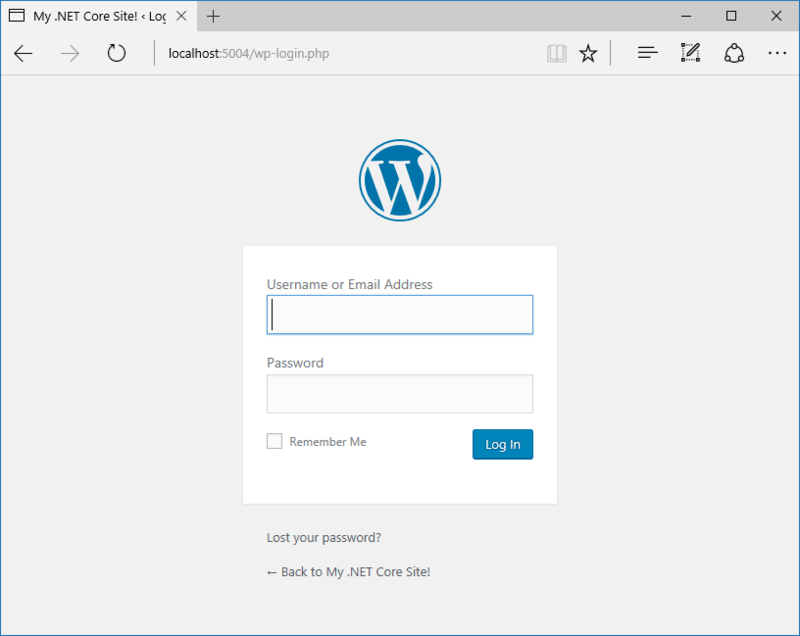 Since we are now in a .NET Core environment, we can use Kestrel – an open-source lightweight web server that is completely modular. Peachpie even contains an extension for Kestrel, which allows it to handle *.php requests and to process them with a DLL library compiled from the PHP project. The project.json file of the web server has dependencies to Kestrel packages, to the Peachpie web extension and the website project (our WordPress itself), causing dotnet to copy the result of the website compilation (website.dll) to the output folder of our web server. Now you know what the project looks like and how to get everything set up. In order to make this all work, first ensure you did all the prerequisites. Note: On PCs with Windows 10 Home edition, you could run into trouble running Docker. Make sure you either have MySQL installed locally or that your virtualization platform works, otherwise WordPress will not run. 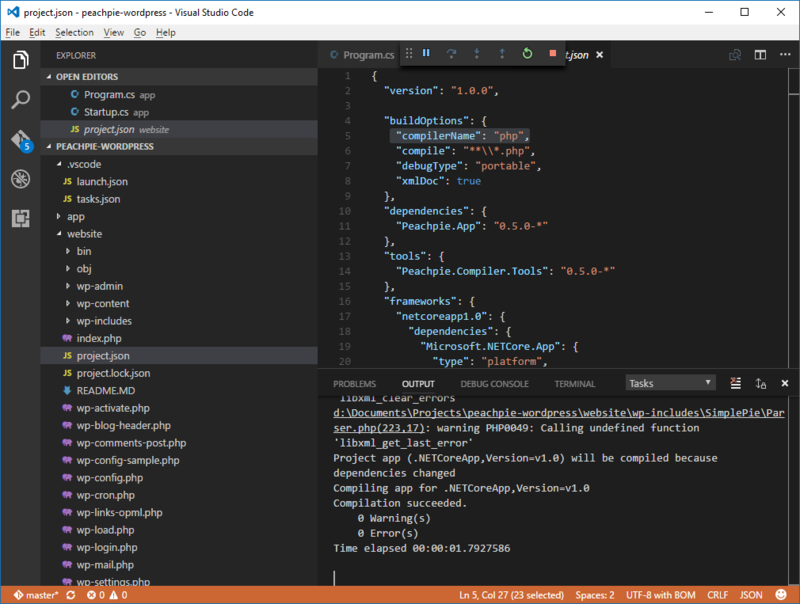 Now you should see that .NET Core itself, Peachpie and other dependencies are being downloaded and copied to the local NuGet cache. The next command performs the compilation using the C# and Peachpie (PHP) compiler for your current platform. It is important to run the command within the app directory (because we were too lazy to look up the ‘website’ directory in program.cs in a more civilized way). The command also runs the app project. 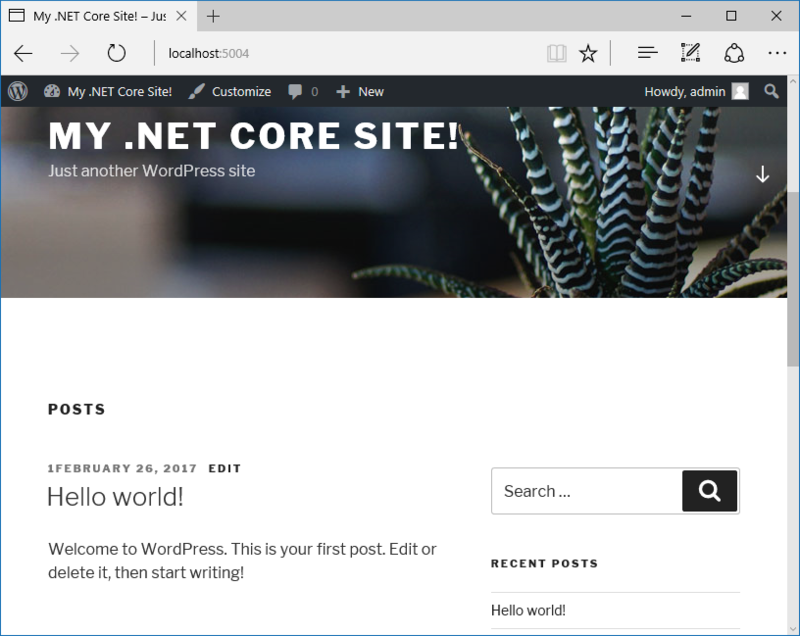 To prove that the site really is running on .NET Core, let us take a look at ILSpy. The screenshot below shows generated MSIL instructions in the compiled website.dll assembly. Note, ILSpy does not know ‘portable’ debug symbols (website.pdb). In order to use ILSpy, delete the PDB file first. 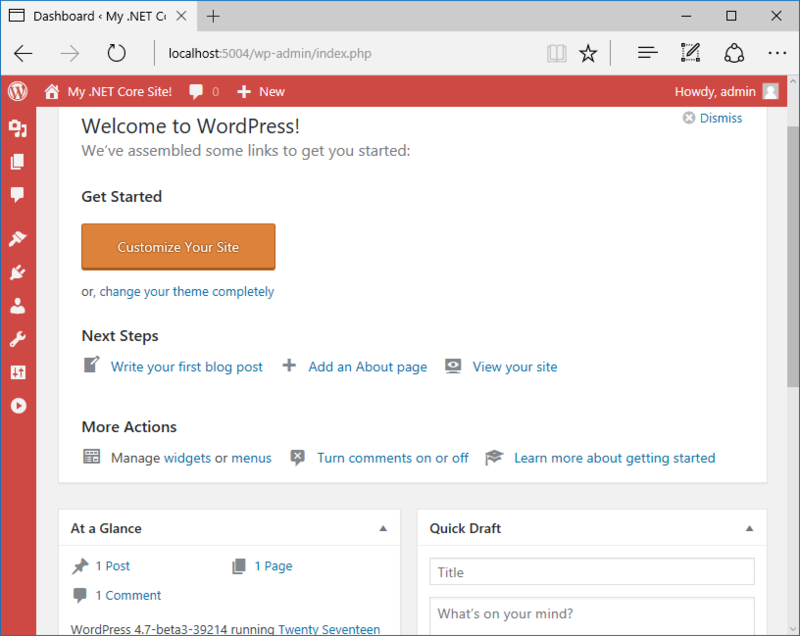 We hope you enjoy the option of running one of the greatest blogging and CMS platforms in the secure, fast, and managed environment of Microsoft .NET. Please keep in mind that we are still working on the development of Peachpie, so we do not recommend using this in a production environment yet, as not all functions are already supported. If you encounter any issues, please do not hesitate to share them with the community, we do our best to answer all inquiries there. Make sure you follow our progress on GitHub, Twitter and Facebook, and stay tuned for more updates.